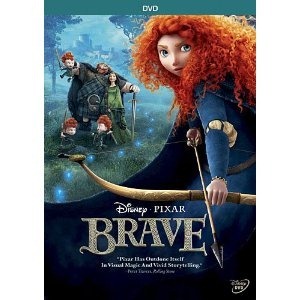 Brave Deserves DVD Release With Better Features Package! With its first ‘princess’ movie, Brave, Pixar recovers from the creative (though not financial) disaster that was Cars 2. The story of Merida, the tomboy teen at the heart of Brave, takes familiar princess tropes and spins them enough to feel fresh and fun. And, as always, the animation is stunning. Unfortunately, Pixar has stiffed DVD buyers with only an audio commentary track and two shorts (one of which is very disappointing). Princess Merida defies custom and her mother’s wishes to be married. But her recklessness unleashes a horrible curse on her family. With the future of her kingdom is jeopardy, only she can break the curse. Starring the voices of Kelly Macdonald, Billy Connolly and Emma Thompson. Written and Directed by Mark Andrews, Brenda Chapman, and Steve Purcell. Produced by Katherine Sarafian and John Lassiter. Brave: Pixar Bounces Back With A Celtic Fable! For the first time in its twenty-five year history, Pixar is producing a film with a strong female lead – Brave, due for release on June 22, 2012. 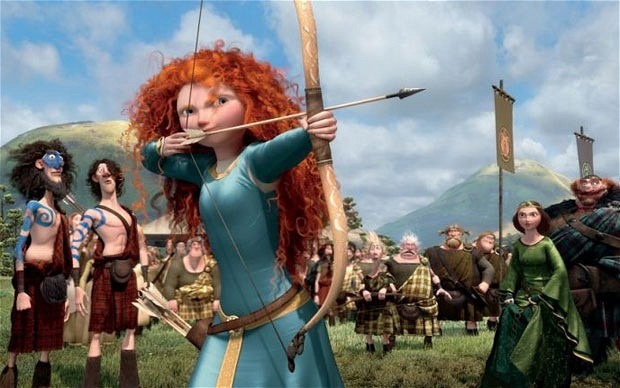 The film, which has an all-star cast, follows the story of Scottish Princess Merida [voiced by Kelly Macdonald], whose decision to forsake her royal heritage to become an archer inadvertently places her father’s kingdom at risk. It’s a bit darker and edgier than Pixar’s usual fare, as you can see in the film’s first teaser trailer following the jump.